119 of the blighters. One is missing, as it flew off its base and dissappeared in my garden somewhere. 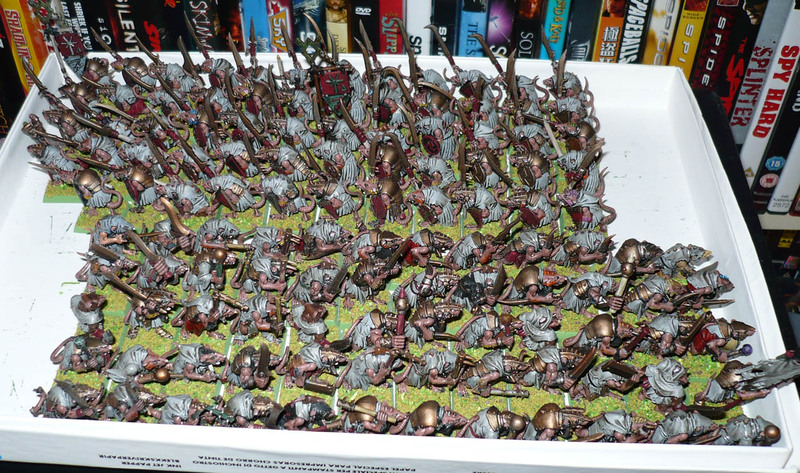 I am currently painting up a replacement, bringing the horde up to two regiments of 60 clanrats or slaves. So that is four such regiments done. 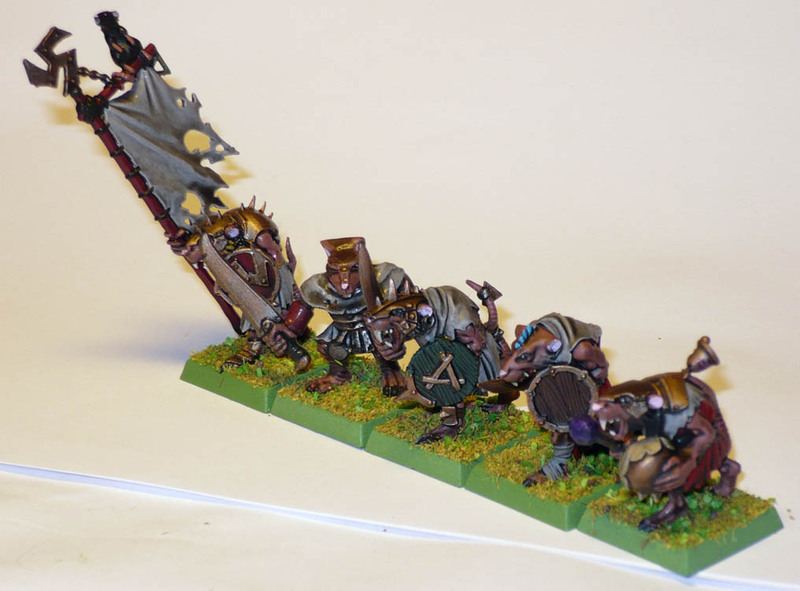 I have quite gone off of painting skaven for the time being, thank you very much. 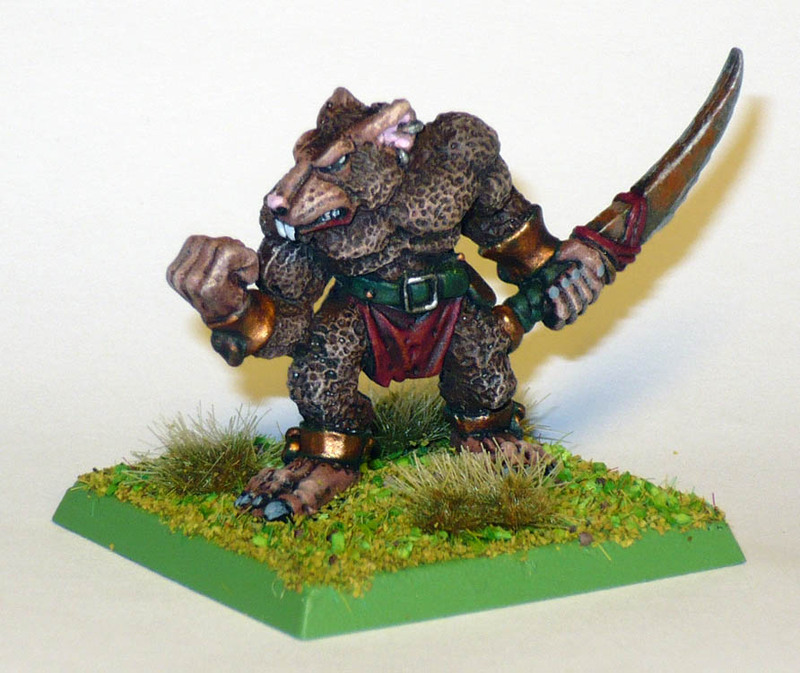 Original Rat Ogre, from the first series of skaven. I like that they are just really big skaven and not steroid-mutant lumps as the current ones are. I think I might have the other one somewhere in the old figure storage boxes.